George and David Lewis are internationally celebrated artists, sculptors, garden masters and Renaissance men who thrive among the flora and fountains planted and carved by their own hands on Bainbridge Island. 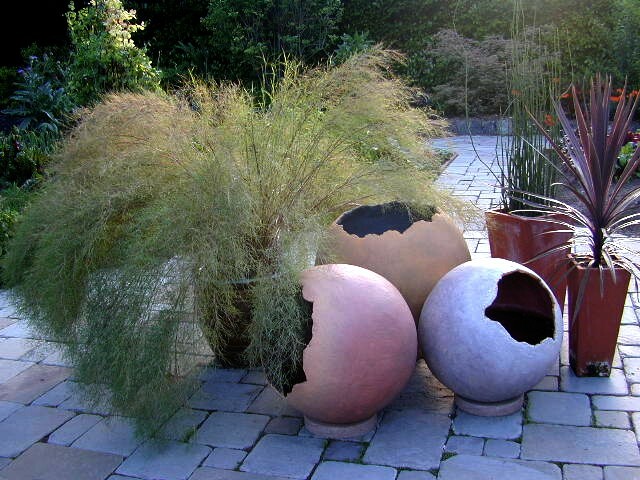 They have been honored in 2007 with the Island Treasure Award by the Bainbridge Island Arts & Humanities Council in acknowledgement for their excellence in garden art and sculpture. 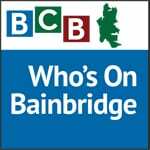 In this episode of “Who’s On Bainbridge,” BCB host Annie Osburn interviews George and David Lewis (formerly known as Little and Lewis) about their multi-faceted and fascinating lives on Bainbridge. Perhaps best-known for their unique concrete sculptures of giant gunnera leaves, rustic columns and fountains, the Lewis’s began their magical garden gallery in 1992. Quickly, the garden became renowned for its art, water features, naturally evolving “rooms” and compelling mix of plants—from English garden to Tropicalismo. The garden gallery was open to thousands of visitors for nearly two decades. 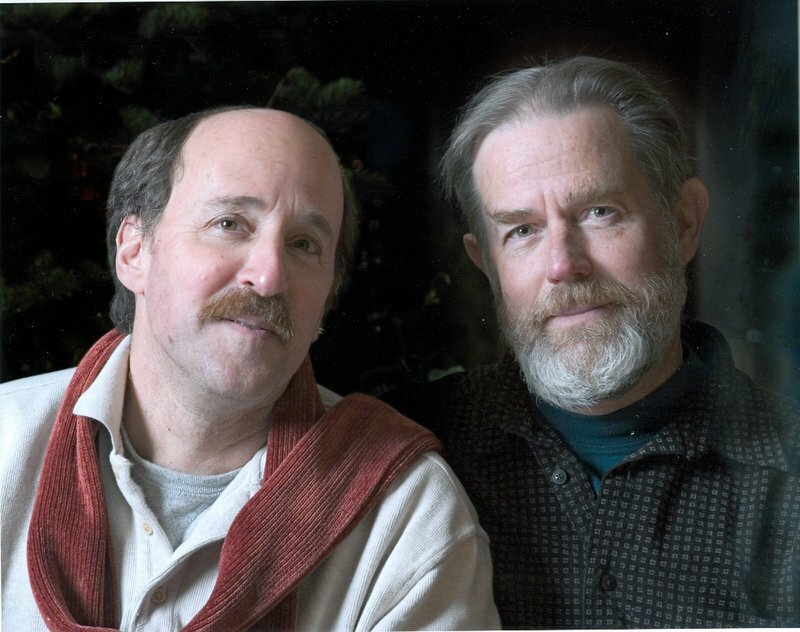 In their early days, George (formerly Little) and David Lewis joined artistic and life forces over the installation of one simple thing – a fountain designed by George and purchased by David for his home. 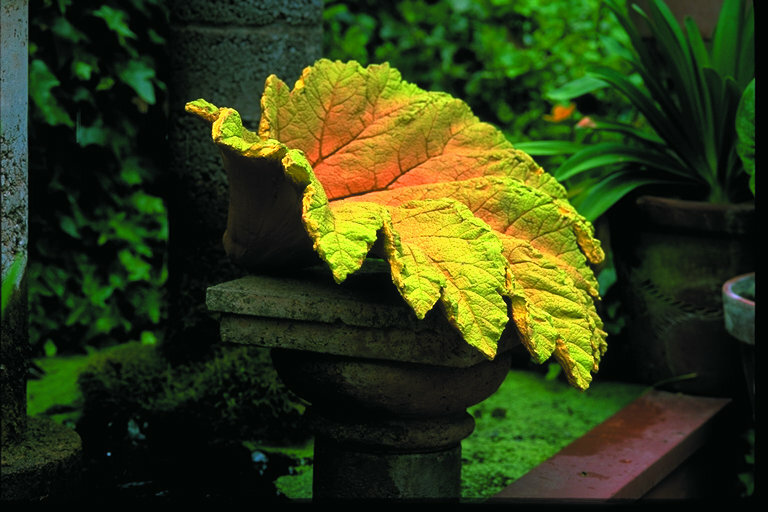 Their effort inspired the creation of a water-gardening business and years of creative collaboration punctuated by vibrant color, big nature and Mexican flourishes. In 2005, the Lewis’s published a book about their magnificent garden, A Garden Gallery: The Plants, Art and Hardscape of Little and Lewis, which was awarded the Silver Medal for Best Garden Book of 2006 by the Garden Writer’s Association. Today, George and David devote their time to giving back to the community and philanthropic efforts with local non-profit organizations. David serves on the boards of the Bainbridge Island Museum of Art and Bloedel Reserve. Credits: BCB interviewer Annie Osburn; BCB audio editor and composer of “Who’s On” music, Tim Bird; BCB ferry music: Dogfish Bay Studios; logo art: artopia creative.